"Trains are relentless things, aren't they, Monsieur Poirot? People are murdered and die, but they go on just the same. I am talking nonsense, but you know what I mean." "Yes, yes, I know. Life is like a train, Mademoiselle. It goes on. And it is a good thing that that is so." "'Journey's end in lovers meeting.'" Lenox laughed. "That is not going to be true for me." "Yes--yes, it is true. You are young, younger than you yourself know. Trust the train, Mademoiselle, for it is le bon Dieu who drives it." The whistle of the engine came again. "Trust the train, Mademoiselle," murmured Poirot again. "And trust Hercule Poirot. He knows." Katherine Grey is on her first trip abroad. Formerly employed as a ladies' companion in England, Katherine receives an inheritance upon her employer's death and decides to spend some time enjoying the European travels about which she has only ever heard but never experienced. On the train, Katherine has a brief exchange with Ruth Ketterling, a wealthy English woman who expresses great unhappiness in her marriage. The next morning, Ruth is found dead and her valuable ruby, the "Heart of Fire," is missing. Famed detective Hercule Poirot is on the case and begins to piece together the clues as to Ruth's murder. Included in the array of suspects are Katherine, Ruth's unemotional husband Derek, Katherine's rumored lover Armand the Comte de la Roche, jewelry dealer Monsieur Papopolous, Ruth's maid Ada Mason, and several others. Ruth's millionaire father Rufus Van Aldin refuses to rest until Hercule discovers the murderer, but the case becomes more and more entwined as suspects change their stories, move places, and the list of crimes grows longer and longer. 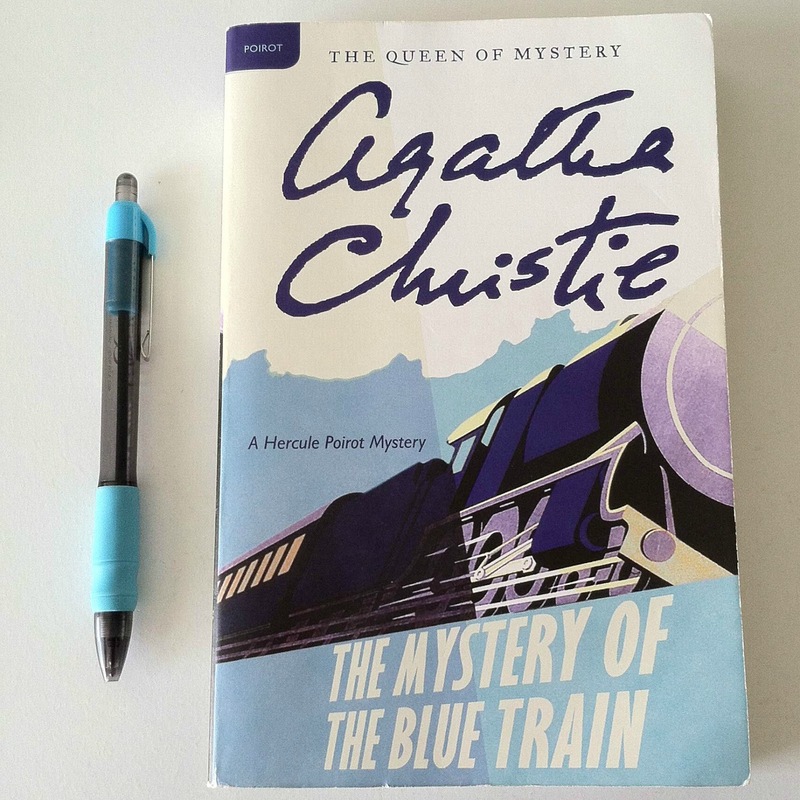 The Mystery of the Blue Train features one of Christie's most beloved crime locations--the train--and the path of its story features an enjoyable criss-crossing of characters, countries, and accusations. Christie famously considered this novel the least favorite works, associating it with the particularly difficult period in her personal life in which it was written. The detective story, however, is yet another classic installment in the Hercule Poirot series and presents an enjoyable whodunnit puzzle worthy of reading.